VR ready. Gamer approved. Omen by HP Desktop tower tuned for optimal VR performance. Championship-caliber performance: Quad-core Intel Core i7-7700 processor and NVIDIAGTX 1070 graphics card with 8GB GDDR5 dedicated memory. 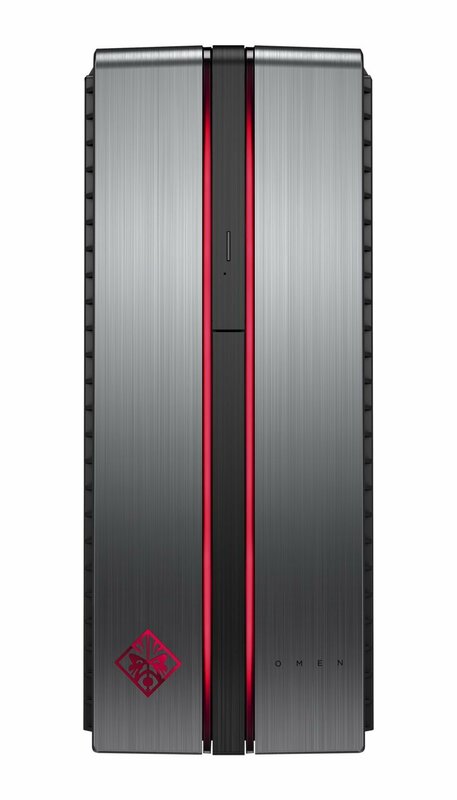 This tower has dual storage with both a 256 GB SSD drive for the operating system and 1TB hard drive. You get the benefits of both worlds- fast boot up, snappy responsiveness, and larger storage capacity. With its brushed-metal chassis and customizable lights, this tower is ready for the arena.